If you are a wife, widow, daughter, or sister of a Knight, we invite you to join our caring and fun group. We assist the Knights in some of their activities as well as our own community service activities and outings. 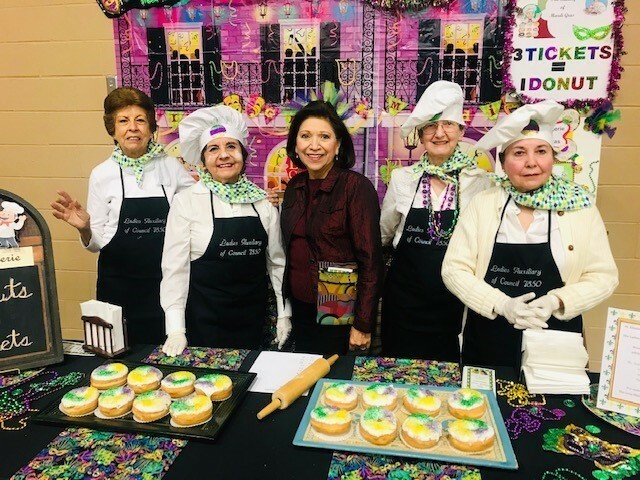 The Ladies Auxiliary Council #7850 was founded in 1993 to assist the Knights of Columbus by supporting their church and community outreach projects. The role of the Auxiliary has evolved and not only provides assistance to the Knights, but also independently involved in performs selected works of charity, promotes good fellowship, and enhances the social life of the entire family. We are a small but dynamic group of women comprised of wives, widows, mothers, daughters, and sisters of Knights; and also mothers of the Columbian Squires. What does the Ladies&apos; Auxiliary do? We lead or participate in social and community service based activities. Participate in the SEAS Mardi Gras celebration with our gift basket raffle (annual fundraiser) Profits go to community needs. Make It, Bake It, Fake It (annual fundraiser). Profits go to community needs. 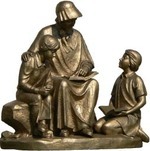 Support the St. Elizabeth Ann Seton Conference of St. Vincent de Paul. Donate to charitable organizations in the name of our Ladies Auxiliary Founding Member, Shirley Archer. Welcome Wives of New Knights at wine tasting and ice cream socials. Informative speakers at our meetings, such as: SEAS outreach programs, SEAS ministries, SEAS Social Justice, Traffic 911, Plano Police on crime prevention techniques, CPR training, and other special interest presentations. Special outings for all Ladies Auxiliary members to promote our Sisterhood. Provide friendship and camaraderie to all of our members – Always!